It’s not always that I manage to get lost in a film, and this one took me by surprise! 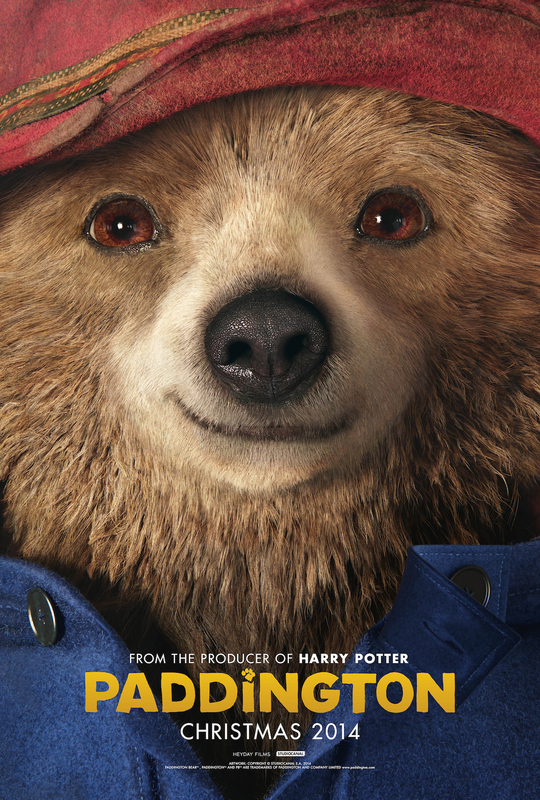 Halfway through this year, as my daughter’s tenth birthday approached and I was living in the antipodes, I popped (I literally cycled) over to Harrods and found a copy of Michael Bond’s famous novel and a Paddington teddy bear. I then rode with that bear over to Paddington Station and snapped his picture with a Great Western train, and popped them into a parcel for my girl in Melbourne. And to find shortly afterwards that Studio Canal was about to release a major film just meant that I could share this a little more with my daughter. Well, it hardly needed this kind of personalisation, as it turned out. A simple but playful approach to telling the story makes this film very relatable and engaging. Add some brilliant performances by some remarkable actors and it is truly something special. Hugh Bonneville is essentially just reprising Lord Crawley in his role as Mr Brown, but Sally Hawkins, who plays his wife, is just brilliant. The children are likewise splendid, but I have come away in awe at Nicole Kidman‘s transformation into Millicent. I was in some doubt about whether it was Kidman or not, her transformation was so thorough. It’s very rare for me to tear up in any film, so it was a surprise to do so in this one, which is definitely not a tear-jerker by any stretch of the imagination. The film’s setting in the part of London where I spent several happy months living this year, and the truism it finishes on that “anyone in London can fit in”, really sang to me. And although the practicalities of life drag the romance of any place violently down to earth, this film manages to capture much of London’s charm without really whitewashing it. Although, I could be terribly biased! But whatever way you look at it, this is simply a great story told with vitality and boldness. Rarely does any film manage to tell a story as well as this one does, so it really shouldn’t be missed.